It’s An RV, It’s A Manufactured Home, No, It’s a Tiny House! I’ve been asked the question a few times as to whether a tiny house could be considered real property versus personal property. The definition will essentially determine whether we’d be able to use the MLS to list this tiny house once it’s complete. It also affects how you’d transfer title and have significantly different tax consequences. As a former Realtor, I knew a manufactured home has to be permanently fixed to the property to count as real estate. Otherwise it’s viewed more like an RV which is a vehicle with a vehicle title. 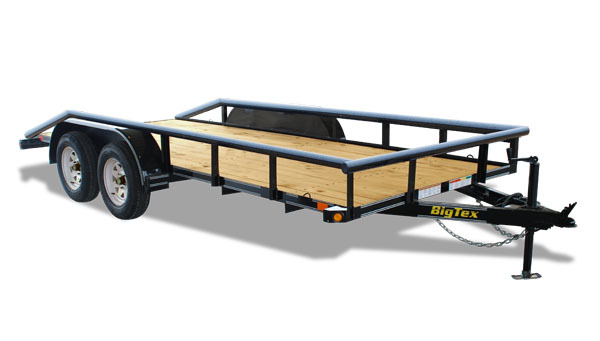 To permanently fix it, we’d basically just have to take the axles and wheels off and build a skirt around the bottom. Then you have to have a 5 year lease to prove it’s permanent enough. I spoke to an attorney who specializes in manufactured homes as well as consulted the Texas Department of Housing and Community Affairs, Manufactured Housing Division. I found there are very specific rules about converting a manufactured house into real property. 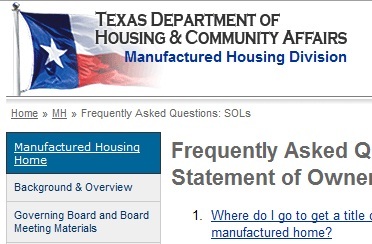 First and foremost, it has to be a manufactured house and conform to the Texas Manufactured Housing Standards Act. My understanding of part of the intent of the tiny house movement is to side-step the legislation out there that keeps houses big and ugly. Maybe that Act wouldn’t be so difficult to abide by, but I’m not really interested in trying to follow all the guidelines based on the ones I’ve already read. For example,if I start selling tiny houses as manufactured homes, I’d have to get a retailer’s license and start getting official seals from the state. It’s another step I don’t want to have to deal with. So, how to make sure I don’t accidentally get classified as a manufactured home and incur all the related bureaucracy? The TDHCA website has a short inventory to take. I have to make sure it’s less than 40 feet long (check), less than 320 square feet (check), and thinner than 8 feet (oops). I need to redraw the plan since I was planning the interior to be 8 feet wide. I calculate the walls including exterior siding to be about 5″ wide so the interior will need to be around 6’8″ or so. What this means is you still can’t get a mortgage on a tiny house, you can’t get a tax credit for buying a tiny house and you can’t write it off as real estate on your taxes. The plus side is, I can get back to building it so it’s available for purchase. You can own a low maintenance home without a mortgage or rental payment and without worrying about property taxes on it. And it’s small enough that you might be able to get a personal loan from a bank for it if needed. That’s a pretty good trade off to me. There are other benefits to owning tiny houses as an investor which I’ll cover in an upcoming post. This entry was posted in Planning, Regulation and tagged personal property, real property, TDHCA, tiny house. Bookmark the permalink. 4 Responses to It’s An RV, It’s A Manufactured Home, No, It’s a Tiny House! I’m wondering if it might have been better to leave those rails on the trailer. They look quite sturdy, and outside the footprint of the exterior walls. The might have been another attachment point to be sure that your structure stays on its base if you tow it in a cross-wind. I was following the Tumbleweed directions. The Small House Book says you need to reduce the weight. Also, I had to double up the boards so that the floor would be flush across the metal frame a few inches. Otherwise it would have lost about a foot of interior width. I probably could have just lain another level perpendicular to those planks for the thickness. I agree there’s probably a better way to do it. For sure I won’t be using metal flashing next time. Marty, another thought – the rails were not outside the footprint. I would have had to build each wall about 6 inches more narrow if the rails had been there. The siding would have been an issue to install too. It seems that width is the main limiting factor for size so I wouldn’t have wanted to loose a whole foot.